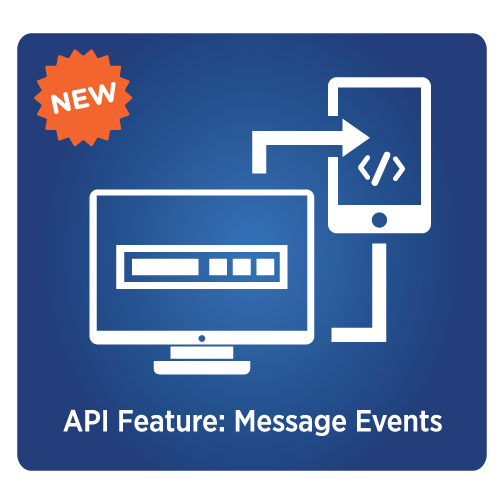 We just released a new feature in our API: Message Events, which allows users to pull down recipient-level data. There has been a lot of demand for such an API, and I’m very proud to say implementing this was not as hard as you may think. Why? Because SparkPost is built using a microservice architecture and we are continually building additional microservices. All of the event data is written to a message queue, and we create Node.js ETL processes that interface with a specific queue and implement specific business logic. The advantage of this is we can reuse our event stream data for many different services: Metrics, Message Events, Event Webhooks, and Suppression Lists. It was also very exciting to use a relatively new feature in Vertica called Flex Tables. Think of it as MongoDB, but an enterprise quality version. It did have to be tuned to support such high throughput, but since we had previous knowledge of Vertica for the Metrics API, it was straightforward and attainable in a few days. The primary use case is you can build a Web UI that can support dynamic paging, keeping the hard part of tracking number of pages/results out of your application and simply show/hide elements based on what is returned in the response payload. At SparkPost we will leverage this in the future by building out our own Web UI. One internal debate we had was the best query parameters to use: per_page/page and limit/offset. Sure, limit/offset is the implementation behind the scenes but we wanted to provide a better user experience by translating limit/offset to more human readable/consumable names. With the addition of Message Events to our API, we’ve added the power of searching for message event data based on recipients, campaigns, and more. Take a look at the documentation and as always, let us know what you think at [email protected].